The new flat screen high definition TVs are great and most have many input an outputs on the back panel of the TV. TV sound has always been marginal, but it can be improved inexpensively without buying a $200 sound bar. If you want to upgrade your TVs audio, first make sure you have either red and white RCA output ports or Digital Audio Output. Rightardia will address the RCA setup. The digital setup isn't complicated but you will need a preamp that takes a digital fiber optic input. Digtial sound like Dolby or DTS may have to be disabled to get the digital preamp to work correctly which seems counter-intuitive. First power down the TV and the PFA200 or similar preamp if you have already hooked up power. 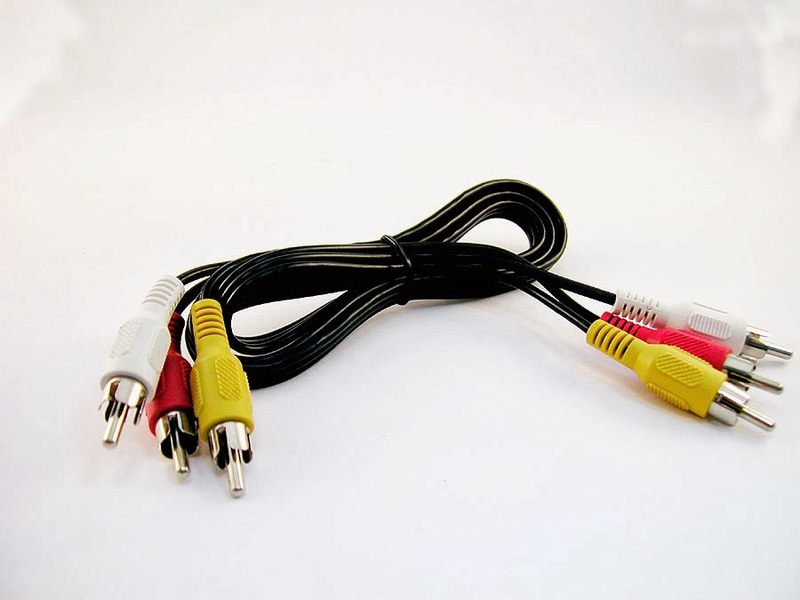 Use the red and white RCA cable to connect the TV to the preamp. The white RCA jack is for the left speaker and the red is for the right. You will then need speaker wire to connect the preamp to your speakers. You can even use use PC speakers if the speakers have an 8 OHM impedance. You will probably. have to cut of the RCA cable on the PC speakers to do this. Rightardia purchased Pyle 3" 100 Watt bookshelf speakers that had high ratings on the Amazon web site. 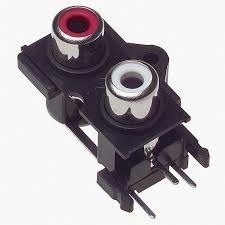 Note that the speaker wire clamps have red and black connectors for the left and right side speakers. Never hook up the yellow video connector of the patch cable to the white or red ports. You will destroy the preamp of blow a speaker if you do. Turn on the TV and the preamp on and enjoy the improved sound. The TV controller should be able to adjust the audio volume. Try to match the audio.volume of the speakers to the output of the the TV. If you don't match the volumes, the TV controller may not be able to mute the sound. If you have a Roku or similar media player, you will be impressed by the sound quality for Pandora radio. The overall cost of this project was under $50.00. Recently signed up again for Roku streaming media after a six year hiatus. Have on the original first and second generation appliances and both continued to work with the exception of Netflix and Amazon. This is because the writer uses a VPN router that terminates in Canada. You might think I Live in the Great White North if you checked my IP address whereas I actually live in FL. Have the ability to bring up another VPN that terminates in the US, but I was still running into "unable to retrieve activation code messages on my LCD TV. Oddly, I could watch Netflix and Amazon video on my laptop just fine. Would also mention if have subscribed to Amazon Prime. It provides free shipping for most of you Amazon orders. You also will be able to watch a lot of free movies. You can expect a charge to your Amazon account if you watch the newer releases. I checked the Internet and one person said updating the Roku would fix the activation problem. Doesn't that almost always work. So I purchased a Roku 3. 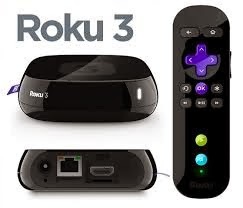 The Roku 3 is nearly identical to Roku 2 except it has an Ethernet port. The Roku 2 only supports wireless connections,. The Roku looks like an over-sized hockey puck, but it is powerful. After connecting an HDMI cable to your LCD, LED or HDTV, plug it in and configure the the appliance for either Ethernet or wireless. 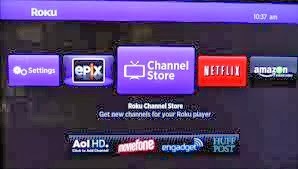 You will need a Roku pin to register generic applications in the Channel Store like WSJ Live. To register apps like Netflix and Amazon, you will need an an activation code from the TV that you will have to enter on the Amazon or Netflix web site, for example. You may be able to use you out of country VPN if you change your domain name servers in your router of cable modem. See https://unlocator.com/. With the Roku 3, you may be able to opt out of cable service altogether because you can access news, movies and TV shows. It is even has a game player and comes free with Angry Birds. Other low cost games can be purchased, too. The Roku controller can also be used as a game controller. The Roku 3 has a standard 3.5mm audio jack. You can use the ear buds the Roku comes with or plug in standard head phones. This is great if you are heard of hearing or hearing disabled because you have blue tooth audio connection with the Roku appliance that mutes the TV audio. You can listen to all of the audio content that Roku provides including the Pandora streaming music service. A closing comment, the lags that were common the the older Roku appliances are now gone. Videos no longer time out and have to restart. Rightardia was quite impressed with the latest in Roku technology. What a vet needs to have before they start a pro se claim. If you file pro se , you also get any extra benefit of the doubt. If you opt for pro se, the VARO has to give your claim an extra benefit of the doubt because you are not using a service organization. 2. An Internet connection. Of course, claims can also be submitted using the Internet at the library. 3. A laser printer, multi-function printer (MFC) fax, copier and scanner. Laser printer are cheaper in the long run than dot matrix and also print a lot faster. John D. Roche and Veterans Administration Claims: What You Need to Know to Be Successful, hardcover by Asknod. 5. You will need your service medical records (SMR) and DD From 214, Statement of Service, to file a claim. You can order those on theEbenefits web site, but you need a premier DSLogin (ID and password) first. 6. Before you begin. Peruse 38 CFR, part C and try to find the disability codes that fit your conditions. 7. Take a close look at the policy in the 38 CR and the supplements. You need to understand VA concepts such as a bilateral rating and pyramiding. 8. How to organize the narrative of your claim. Peruse 38 CFR. Part c and try to determine what system(s) you disability falls into such as skeletal, respiratory, digestive and so forth. Is there any relationship between the conditions? For examples if you were exposed to Agent Orange in Vietnam, you may have type II diabetes. You may also have some of these other secondary conditions. : Peripheral Artery Disease Ischemic Heart Disease, Carotid Artery Disease Stroke , Kidney Disease Hypertension and Diseases of the Eye. Can you relate your conditions in terms of primary and secondary conditions? Another example if you contacted meningitis or encephalitis while in the service, you may have damage to the brain and brain stem and suffer from tinnitus, hearing loss, and sleep apnea. The latter conditions are secondary to encephalitis. Try to find pages in your SMRs that directly relate to your claim. Use those pages as attachments to submit a fully developed claim. Develop a team of doctors who are you advocates. Minimally I would suggest one primary care doctor and one specialist. Make sure both are board certified and have reviewed your SMRs. They can also review your VA records you can get using Blue Dot downloads from MyHealthEvet. You need premium DS Login first to create a second login to My HealthEvet. Interview the doctor and ask them if they will help you with letters and disability benefit questionnaires. If he or she won't, find another doctor. 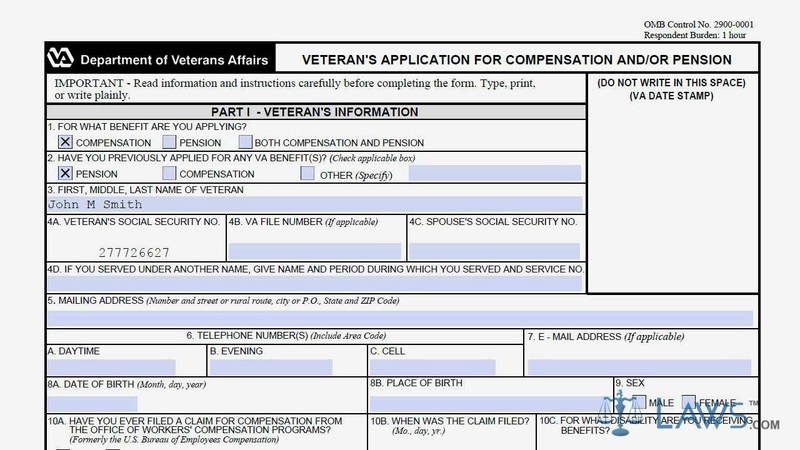 Note: VA Forms 21-526, 21-686c, and 21-4138 are no longer available for use and submission in the Veterans Online Application (VONAPP). 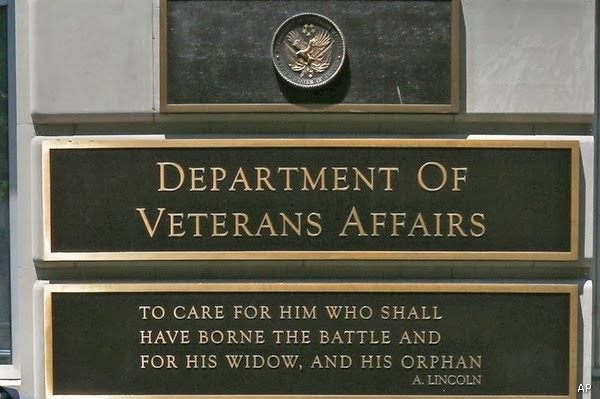 The Department of Veterans Affairs (VA) is transitioning from VONAPP to a new online VA claim service known as VONAPP Direct Connect (VDC) for all Compensation claims, which is currently available for use in eBenefits. Purpose: Award claimant a 60 disability for PTSD. (Here ask for what is based on the tables in the 38 CFR, Part C. Make sure any letter or DBQs you have from your doctors are in agreement. Facts: Describe how you medical condition is service connected and provide a time line of the events while you were in the service. Avoid any opinions or conjecture here. Discussion: You can discuss how the primary and secondary conditions relate and how his condition has affected your life. Letters from service buddies and employers should be used as attachment if you lack SMRs. Try to link all of your attachments to statements and in the facts and the discussion, e.g., the claimant contacted Hepatitis C in Saigon and was hospitalized for 3 months for the condition (atch 4). 1. The claim for meningitis is service connected. 2. The meningitis caused the secondary condition of sleep apnea, tinnitus and hearing loss. See the letters and DBQs at attach 7, 8 and 9. Recommendation: Award the claimant a 100 per cent disability go the primary condition of cirrhosis and the residual secondary condition Hepatitis C.
You can use this same Format on a Form 9 for a VA appeal. It's a good idea to get additional doctor's letter, progress notes and DBQs for the BVA appeal.